Over the years, the use of GPS for searching and navigating locations when connected to the main satellite has been a sacred procedure often associated with the military for security purposes. However, it is a great companion for hunters especially when in the wild. A GPS is one of the new innovatiosn recorded in the world of technology. It allows lovers of hunting activities to remain safe when lost in the wild by accessing the nearest location information when connected to a nearby satellite using a GPS. Talking of Garmin Oregon 650ft 3-inch handheld GPS, this is one of the newly designed Garmin products which is most preferred by hunters in cold regions because it can be operated with gloves on. Inside the neatly packed box includes Oregon 650t, Preloaded U.S. TOPO 100K, NiMH battery pack, USB/charging cable, AC adapter, Carabiner clip, and manual guide. Oregon 650ft offer you a reflective display technology boosts touchscreen brightness such that maps and location information are as vivid in full bright sunlight as they are in dark environments. This product also features an 8-megapixel autofocus camera with digital zoom and automatic flash/torch, and customizable buttons for 1-touch picture capture and waypoint marking. It has a strength for impact resistance but with multi-touch and dual orientation views that still accommodate hand-gloved operation. Make use of the free trip-planning software that allows you to create Garmin Adventures that you can share with friends, family or fellow explorers. Don’t forget to try out the BaseCamp feature that exhibits topographic map data such as contour lines and elevation profiles in 2-D or 3-D on your readable screen. It also can send an unlimited number of satellite images to your device when paired with the BirdsEye Satellite Imagery, but the feature will cost you a little subscription fee. Ideal for hunters in cold regions. 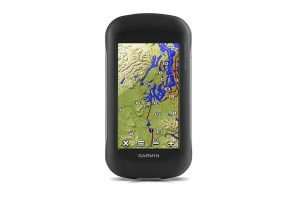 Talking about the Garmin product which features a 2.6″ sunlight-readable color screen and a high-sensitivity GPS and GLONASS receiver. It provides you with a quad helix antenna for a higher reception which locate your exact position speedily and accurately. It has an embedded built-in 3-axis tilt-compensated electronic compass which displays the direction you are heading even when you are still standing at a point. GPSMAP 64s features a barometric altimeter that records slight changes in pressure to provide an accurate altitude you are and also monitor the atmospheric condition over time. Make use of the BaseCamp feature, a software that provides you with the option of taking charge of future outdoor pursuits, get to view and organize maps, waypoints, routes, and tracks. It also allows unlimited transfer of satellite images to your device when connected to the BirdsEye Satellite Imagery subscription. GPSMAP 64s has been living to its popularity over the years. It offers you a Smart Notification button with which you can wirelessly receive email, messages and any other form of notifications from your compatible mobile, be rest assured you are connected without having to dig into your backpack searching for your mobile to view incoming emails. In addition to all these is another fascinating feature on this product that allows you to share tracks, routes and geocaches with friends wirelessly without connecting to a computer, you can also share to other compatible devices such as VIRB™, foot pod, heart rate monitor and other accessory sensors. It has a 16-hour battery life. It is slim and lightweight and eco-friendly. 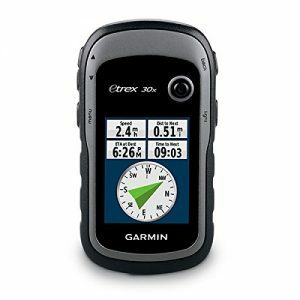 Garmin Foretrex 401 waterproof hiking GPS is one of the amazing products for hunting on Garmin GPS catalog. It is renowned for being highly durable as it can withstand varying atmospheric conditions. It usually comes in a specially designed box which includes the Foretrex 401,a wrist expansion strap, and a USB cable and manual guides. It is a slim wrist-mounted GPS navigator which features a high-sensitive GPS receiver with a HotFix for an enhanced performance in a thick shade cover or deep canyons region. It functions by combining a high-sensitivity waterproof GPS receiver with an electronic compass and barometric altimeter to gather location information and tell you your exact location on the map. Garmin Forterex 401 GPS is a lightweight device which keeps track of routes, waypoints, and heart rate. The heart rate accessory is an additional feature which must be purchased separately. All these enthralling features render this Garmin product as the most appropriate for hikers, skiers, and campers during an outdoor pursuit. It supports dual position readout so the that you can view the current location in different formats. In addition to these is the trackback feature which retraces the your path on the easy-to-read LCD screen display. 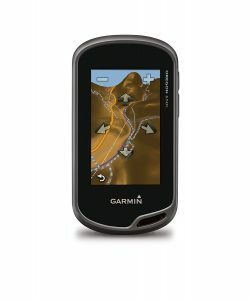 One of the unique and distinguishing features of Garmin Foretrex 401 is the one that allows you to create and store routes to all of your favorite places, learn how to share your favorite waypoints, routes, and tracks wirelessly with another Foretrex 401 compatible devices. Use the Garmin connect feature to explore other routes uploaded from more than 12 million users. Don’t forget you can also share your experiences on social media. May at times provide inaccurate information. This Garmin GPS is widely renowned as the favorite pick for all lovers of hunting. This hunting GPS produced by Garmin is often called a powerhouse because of the built-in GPS and GLONASS systems which provide you with very accurate results. Its efficiency cannot be disjointed from the fact that it uses a high-sensitive technology that cannot be found on any regular navigation system. This Garmin product also uses a 2.6″ sunlight-readable color screen and a high-sensitivity GPS and GLONASS receiver. It has a quad helix antenna as a superior receptor. With the quad helix antenna and high-sensitivity, GPS and GLONASS, receiver your safety in the wild are highly guaranteed because GPSMAP 64st will locate your exact bearing speedily and precisely. It also uses the common feature which is common to most GPS on the market. The in-built 3-axis electronic compass combined with barometric altimeter measure variations in height and atmospheric conditions of a particular region. Get to share your tracks, routes, and geocaches wirelessly with your family and any other compatible devices. 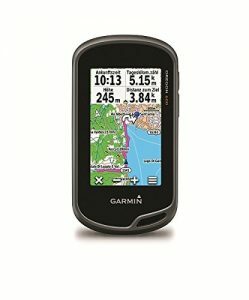 Your friends can enjoy your favorite hike or cache experience without waiting for you to connect to your personal computer all you need do is to click on the send button and transfer your information to another Garmin compatible devices. You can also enjoy iinstant updates from your mobile with the smart notification feature. You can wirelessly receive email, alerts, and messages from your mobile devices. Garmin Montana 680t GPS is not just famous by name, it’s popularity cannot be disjointed from the fascinating features it offers. This Garmin product keeps you abreast of your location with the use of its high-sensitive, WAAS-enabled GPS receiver coupled with a Hotfix satellite prediction and GLONASS support which gather information as quickly as possible to locate your position accurately at all times. It records and exhibits important information such as location, terrain and other descriptions on a vast 4-inch dual-orientation, sunlight-readable touchscreen display, providing legible vivid colors and high-resolution images. Its easy-to-use touchscreen ensures you have a worthwhile viewing experience during your hunting activities. In addition to the 3-axis tilt-compensated compass which displays precise location position, the barometric altimeter also provide an additional navigational support which helps to monitor altitude and slight variations in atmospheric conditions. Garmin Montana 680t GPS comes uploaded with TOPO U. S. 100K maps. You can also add more maps, it is easy to do and it comes with no barriers. Another important feature peculiar to this Garmin GPS is the one-year BirdsEye Satellite Imagery subscription which allows you to explore information posted by other teeming numbers of users. Montana supports paperless geocaching GPX documents directly sourced from Geocaching.com which thus makes it more eco-friendly.Lay hands on the track manager button and it will help you to organize and navigate through locations easily. You can even share waypoints, tracks, geocaches wirelessly with your friends. Garmin Montana has an integrated BaseCamp software which allows you to view and organize maps, waypoints, routes, and tracks. This cheap adventure organizing software displays topographic map data in 2-D or 3-D on your readable screen, this data includes contour lines and elevation profiles and many more features. Garmin Oregon 600 is no different from other Garmin products, it provides you with the basic essentials fully packed together. These features include Oregon 600, Worldwide basemap, USB/charging cable, Carabiner clip, and manual guide. Garmin Oregon has an inbuilt 3-axis electronic compass with accelerometer tilt compensation to indicate the direction you are heading even while you are static. It uses a barometric altimeter that tracks little changes in pressure to know the precise measure of altitude, this same feature also helps to monitor changing weather conditions. With the high-sensitivity, WAAS- and GLONASS-enabled GPS receiver and HotFix satellite prediction button, Oregon 600 locates your actual position speedily and precisely. 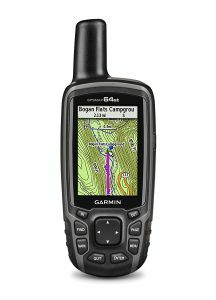 Oregon 600 also allows you to share waypoints, tracks, routes and geocaches wirelessly even up to 50 times faster with other wireless compatible Garmin handheld devices. Oregon 600 has a unique reflective display technology for the best, sunlight readable touchscreen ever produced in the market of GPS. The screen is durable for high impact resistance and it allows multi-touch with a dual orientation views that allow gloved operation. Another fascinating feature of this Garmin product is the dual battery system which provides you with the option of recharging sometimes. You can use the optional rechargeable NiMH pack or traditional AA batteries when it’s getting low on power. Oregon 600 has a vast memory card slot which can accommodate up to 4 million files. 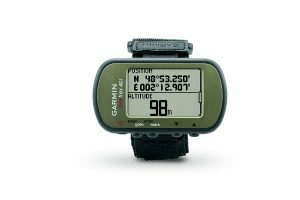 This Garmin product has a spectacular feature which gives you the ability to have control on subsequent adventures with the fascinating software that allow you to view and organize maps, waypoints, routes, and tracks. Basecamp free trip-planning software allows you to create Garmin Adventures which you can share with friends, family or other campers. It displays topographic map data in 2-D or 3-D on your computer screen, including contour lines and elevation profiles. 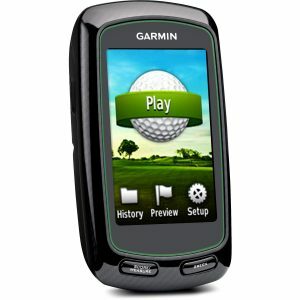 This Garmin product is one of the latest technological innovation in a series of golf GPS devices. The Approach G6 wears an entirely different look with its sleek, slim design for a top-notch functionality. It offers a glove-friendly, colorful touchscreen, then its G3 and G5 predecessors. Garmin Approach G6 comes in a specially designed box which includes; the Approach G6, a USB cable, an AC adapter, a belt clip, and user guidelines. It retains the same size and touchscreen color of the previous generation of Garmin golf handhelds.The G6 which is the smallest GPS device with a color screen on market a few years ago is rugged, water resistant and can withstand varying atmospheric conditions. It has a 2.6-inch transflective color TFT touchscreen, an embedded software and design innovations fully packed into the Approach G6 to take your outdoor pursuit experience to the next level. It offers you up to 25,000 preloaded worldwide courses for free. Garmin Approach G6 provides an internal rechargeable battery which lasts up to 15 hours, you can play the whole of your weekend on a single charge. Apart from using your Approach G6 for instant access to Green View, Shot Measure and Digital Scorecard you can also use the work of the enhanced stat tracking highlight which keeps track of fairways hit, greens in regulation and putts per round. Minor bugs and crashes when trying to view scorecards on the device. The Magellan eXplorist GPS is a fascinating portable GPS which features a color LCD, local physical buttons for stress-free navigation. The eXplorist 350H is an efficient, strong waterproof (IPX-7) handheld outdoor GPS with high impact resistance designed most appropriately for the lovers of hunting activities. It provides you with advanced maps that include land use, parks, waterways, and even airports and contour elevation overlays for easy navigating. It has an easy to understand colored LCD interface and is fully equipped with high–sensitive SiRFstarIII GPS with 3-5 meter accuracy and numerous attributed hunting options. With this GPS, you can get to pick from over 30 different hunt specific waypoints that are divided into landmarks and tracking of animals. The eXplorist 350H offer you a comprehensive pre-loaded base map with the detailed road network, land use, water bodies, trails. You can also get to view routes where you can start your journey with one click and keep tabs on useful data. It uses 2 double AA batteries which gives hunters 18+ hours of battery life during and after the hunt. This Garmin product offers you a free 1-year subscription to DigitalGlobe where you can download detailed imagery to your screens and start hunting. This GPS offers you a feature which allows you to select specific hunting zones based on GMU & WMU given data for each region. Once a specific region is selected the GMU and WMU borders will be available on the 350H map display. In addition to all these is the pre-loaded hunt calendar offered by this product. It allows hunters to stay within legal hunting hours by knowing sunrise and sunset times. Another key feature is the customized boundary alert that allows Hunters to be signaled if they are approaching or leaving a hunting zone. Known to be highly durable and waterproof, eTrex 30x is built to withstand varying atmospheric conditions. It has a superb interface that makes it rugged to withstand dust, dirt, humidity or water. eTrex supports geocaching GPX files for downloading geocaches directly from the Geocoaching.com. It records and displays essential information, including location, terrain, difficulty, hints and other location descriptions, which means it doesn’t need a manually coordinates entering or paper printouts. The eTrex series is the first-ever consumer-grade receivers that can track both GPS and GLONASS satellites at the same time. With its high-sensitivity, WAAS-enabled GPS receiver and HotFix satellite prediction, eTrex get your position quickly and precisely. You can get to share your waypoints, tracks, routes, and geocaches with other compatible devices wirelessly. You can also enjoy a wireless connection to compatible Garmin devices, including VIRB and accessory sensors. With this GPS navigator, you can learn to take charge of your future exploration with the embedded BaseCamp software that allows you to view and organize maps, waypoints, routes, and tracks. This cheap adventure organizing software even allows you to create Garmin Adventures that you can share with friends and family. Do you know BaseCamp also displays topographic map data in 2-D or 3-D on your screen, including contour lines and elevation profiles? Lay your hand on the software and maximize its numerous usages. 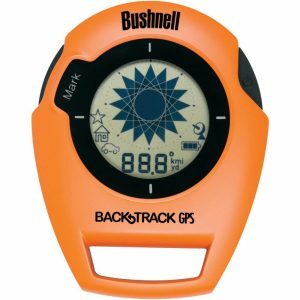 This is the ergonomic shaped Bushnell backtrack original G2 GPS personal locator and a digital compass which has a simple interface with a blue backlight that displays sunrise/sunset and moonrise/moonset times as well as barometric pressure. Bushnell GPS has a distinguishing feature that many hunting GPS lacks, which is the accurate prediction it makes during the time of peak animal activity based on a vast collection of data. This is an incomparable feature for a hunter. In addition to that, it logs up to two days of trip data and stores up to 25 locations. Its compact size added to its lightweight makes it one of the best to take around to fulfill your hunting quests. It can be stored in pocket or purse. Its weather-resistant ability allows it to survive ranging extremely difficult atmospheric conditions and it operates on 2 AAA batteries. Small-sized and can be carried around in pockets. This sudden rapid changes and development that hit the world of technology of recent has enabled hunting lovers and outdoor activity addicts to enjoy today’s easy to operate GPS systems. These GPS offers you the ability to remain on track during hunting activities and avoid the tendency of getting lost during while hunting. Are you a lover of hunting? 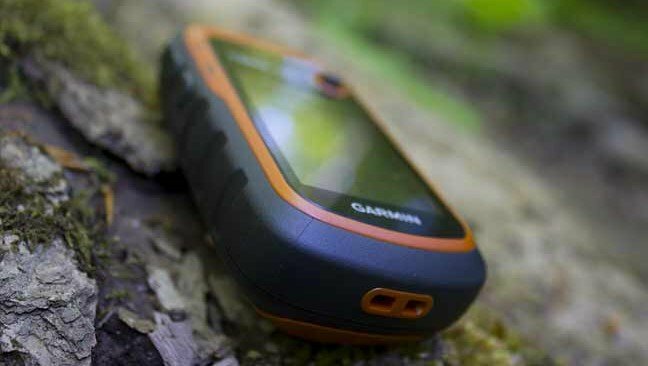 Have you been lingering to acquire a versatile and durable GPS for hunting? 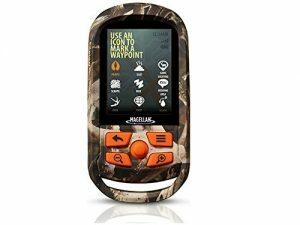 With numerous fantastic products in the market of hunting GPS, how to select the GPS that is best for hunting is the frequently faced problem by hunters especially for starters. Undoubtedly, each product has something spectacular to offer. They all come with intriguing highlights that make them top notch in the market. But what are these highlights? And what are the most important characteristics you desire? As a starter, here are the top three qualities to have in mind when choosing the best hunting GPS. The number of satellites a GPS can use to access location information acts as an important factor in determining the speed and accuracy of hunting GPS. The United States Department of Defense currently has 24 satellites that GPS devices can access to tap location information. One can, therefore, assume that the best hunting GPS on the market can be considered fast and accurate when it can easily connect to a minimum of 12 different satellites with the ideal scenario and best option for a device being a 24 satellites. Using a device that takes decades to access location information are obviously a disadvantage compared to those that can connect to numerous satellites in few seconds In addition to all the these, there are other three important factors which must be considered when choosing a fast and accurate GPS, even though only two of these factors can be easily manipulated. This includes size of the antenna, the efficiency of the software., and the number of satellites present in an area. A bigger antenna often looks inevitable as it can easily affect the speed of positioning. If you want to access information as quick as possible, it is important to create a space for a bigger sized antenna. The efficiency of a software is another factor that must not be overlooked. Efficiency of many products comes from companies that prioritize quality in their products. Different companes place different levels of priorities on quality and efficiency, thus you must be careful to choose from suppliers who are trusted and reliable for providing quality products over time. Functionality is an important factor that must be carefully considered when selecting the best hunting GPS. Every GPS exhibits different features which makes buyers to see some features as important while others may feel it’s not needful. It can also be attributed to the ease of use of GPS and all functions the device can offer. Arguably, the best hunting GPS are those that can perform many functions with a facile operating module. For instance, considering a hunting GPS that allows you to trail a location and also mark locations as a point of interest whereas another device will only allow you to mark a route or a place of interest only. If you are only interested in marking trails, the need to identify many locations as points of interest will be considered not necessarily essential. As far as ease of use is concerned, a device can only be considered as the best in the market if it’s not complex to operate and setup. It is important to make a little research on devices that are easy to operate. The best GPS for hunting will definitely have numerous choice of functioning but will not be too difficult to operate. The durability of hunting GPS simply implies to the strength and service life. The acknowledged sophisticated and advanced GPS in the world can only remain desirable when it is consistently living up to its popularity. For instance, what is the benefit? of an advanced hunting GPS that shattered into pieces the first time it mistakenly falls from a support, it is placed on. A highly durable hunting GPS for hunting must be rugged and can withstand pressure, moisture or any unfavorable atmospheric conditions. Talking about the battery life of a fantastic hunting GPS, it is an important factor that must be carefully considered. The battery life of your desired hunting GPS must be a one that can stay alive for a long duration of time especially when you’re on a long adventure in the wild, otherwise, the need to acquire spare batteries will set in which is equivalent to incurring an additional cost to your small budget. Hunting GPS in term of battery life is available in a various unique form on market, with some devices that can be recharged when low and some using standard batteries that can be purchased at the store. Undoubtedly each has something spectacular to offer, the best hunting GPS will be the one that can be recharged when low and can as well use a battery. The quest to acquire a versatile and long lasting hunting GPS is one of the challenges widely faced by all lovers of hunting, especially amateurs that are just developing their hunting skills. The size and weight of the device: The best hunting GPS must be one that is lightweight and portable to carry about. The quality of the screen: It must be a type that is not blurry, a clear and clean touchscreen to read location information. The details of the topography: Some fantastic hunting GPS has an embedded software that gives comprehensive details of the topography of your present location. The number of card slots available and other accessories available is also things to take note. These hunting gps are arguably the best in the market and have been carefully selected due to their high functionality and versatility. They are as such a feasible and long-lasting solution to incessant cases of lovers of outdoor activities losing track in the wild during their adventures. The recent technological innovation of numerous GPS with varying enthralling features has been of unending benefits. All you need do is to take a time off and check through which exactly can cater for your taste while knowing fully well it fits into your budget too. 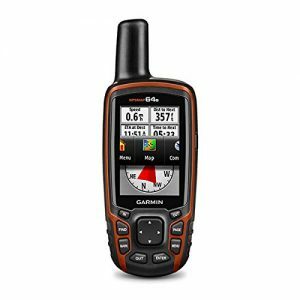 It is therefore important to say that the Garmin Oregon 650ft 3-inch Handheld GPSis our top pick of this list which is due to its high functionality and ease of use.